May 25, 2018 – Feb. 14, 2021. On May 25, the museum will celebrate its newest exhibition with a sold-out concert in the museum’s CMA Theater. 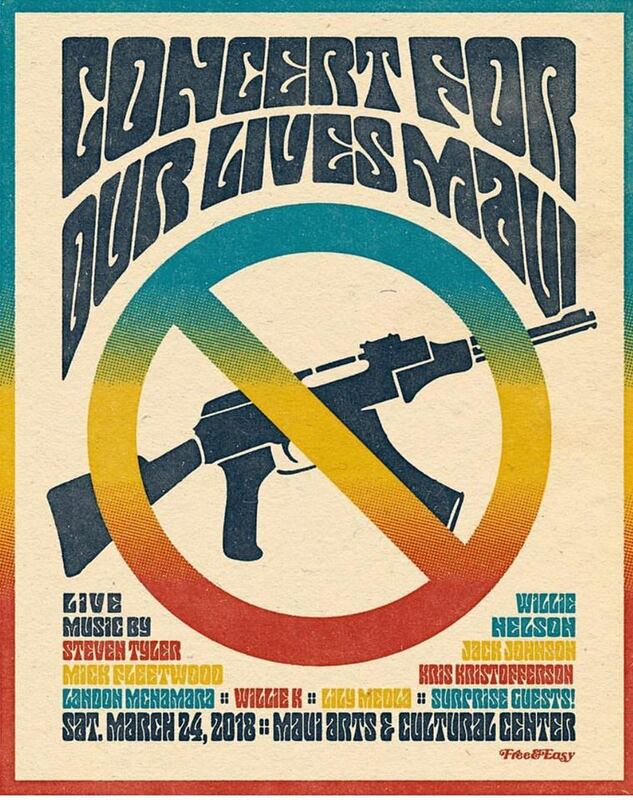 The super-sized lineup, led by musical directors Shooter Jennings and Dave Cobb, features Joe Ely, Jessi Colter, Bobby Bare, Billy Joe Shaver, Kimmie Rhodes and Delbert McClinton, Michael Martin Murphey, Gary P. Nunn, Tanya Tucker and Bobby Earl Smith, several of whom have artifacts in the exhibit. They’ll be joined by Jason Isbell, Jack Ingram, Ashley Monroe, Jamey Johnson, Amanda Shires, Jason Boland and Colter Wall, a new generation of musical renegades who, decades from now, might be featured in a museum display of their own. 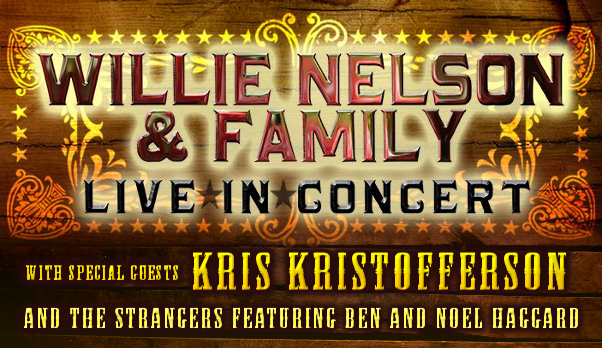 The fire and Nelson’s relocation serve as the beginning of the story told in the Country Music Hall of Fame and Museum’s new exhibit, “Outlaws and Armadillos: Country’s Roaring ‘70s,” which opens Friday, May 25, and is scheduled to run until February 2021. The exhibit focuses on “Nashville and Austin, the blossoming of those music scenes, what was happening in each city and the interaction between them,” said exhibit co-curator Michael Gray. “Outlaws and Armadillos” features more film than any of the museum’s previous exhibit thanks to co-curator Eric Geadelmann, an Austin-based filmmaker who has spent the last several years working on a documentary about the outlaw movement. “Based on the narrative we’re telling, we ordered up eight short films (from Geadelmann), six to eight minutes each … These shorts are going to be a centerpiece of the exhibition,” said museum Young. The films include exclusive performance footage and interviews, some of which were conducted with artists, such as Guy Clark, who’ve since died. That’s not the only thing that may surprise visitors. Yes, there’s the usual museum fare: stage wear, awards and instruments galore. But there’s also the blade that inspired Clark’s masterpiece “The Randall Knife,” a set of Ringling Bros. coveralls worn by Joe Ely when he left music to join the circus, and a copper moonshine still — parts of it covered in the same green oxidization that blankets the Statue of Liberty — that was used by singer-songwriter Tom T. Hall and the Rev. Will D. Campbell, a self-described “bootleg preacher” and important figure of the Civil Rights Movement who also served as pastor to several country artists. 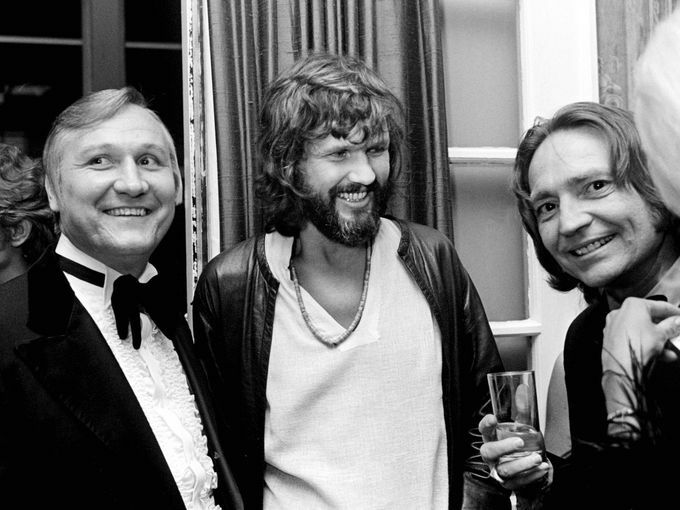 It’s more than two decades since the Highwaymen regrouped for The Road Goes on Forever, the final album from the country supergroup. Even so, three of the band’s members – two living and one deceased – team up in a way on “Forever/I Still Miss Someone,” the kickoff track from next month’s Johnny Cash: Forever Words. A uniquely collaborative album, Forever Words matches Cash’s elegiac poetry – much of which was discovered after his death in 2003 – with musical performances from his contemporaries, followers and family members. 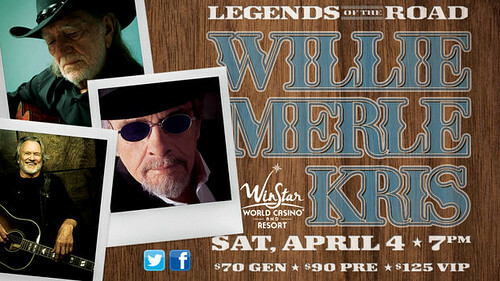 Opening the album is a moving performance from Willie Nelson and Kris Kristofferson, both of whom collaborated with Cash throughout their careers. 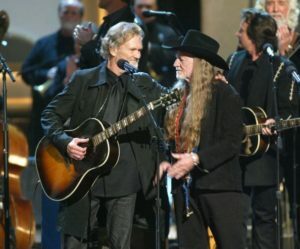 Led by Nelson’s acoustic guitar and Kristofferson’s narration, the song features an instrumental version of Cash’s 1958 single “I Still Miss Someone,” which is repurposed as the backdrop for the final poem the Man in Black ever wrote. Honest and unflinching, “Forever/I Still Miss Someone” contrasts the finite nature of one’s life with the indestructibility of one’s art. 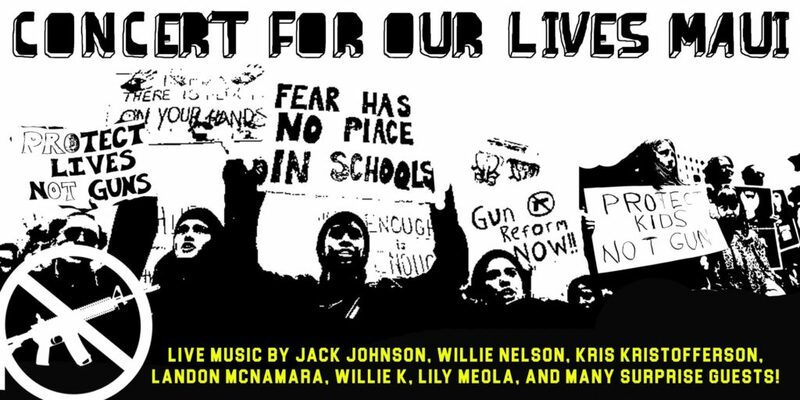 “The songs that I sang will still be sung,” Kristofferson reads during the final moments of the video above, which takes a quick look at the song’s creation. The clip also finds Cash’s fellow Highwaymen talking candidly about their bandmate. Johnny Cash: Forever Words, featuring contributions from Chris Cornell, Elvis Costello and others, will be released April 6th. On Saturday, March 24th, people all over the country made a stand to end gun violence in schools at March for our Lives events at over 30 locations nationwide. 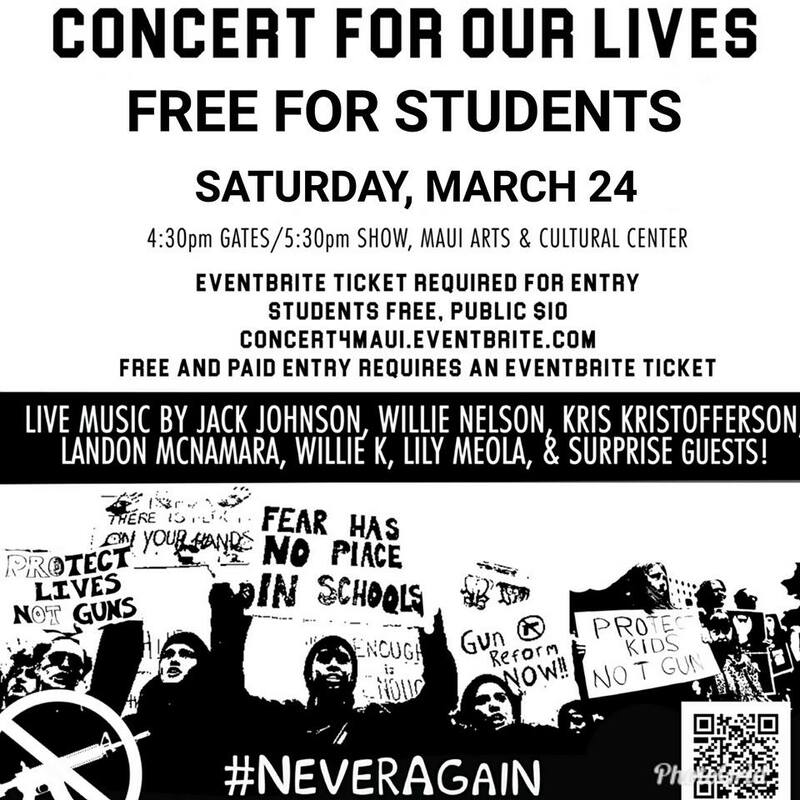 In Hawai’i artis joined students, musicians and local community members for ‘The Concert for Our Lives Maui’, a star-studded event in support of ending gun violence in schools at the Maui Arts & Cultural Center. 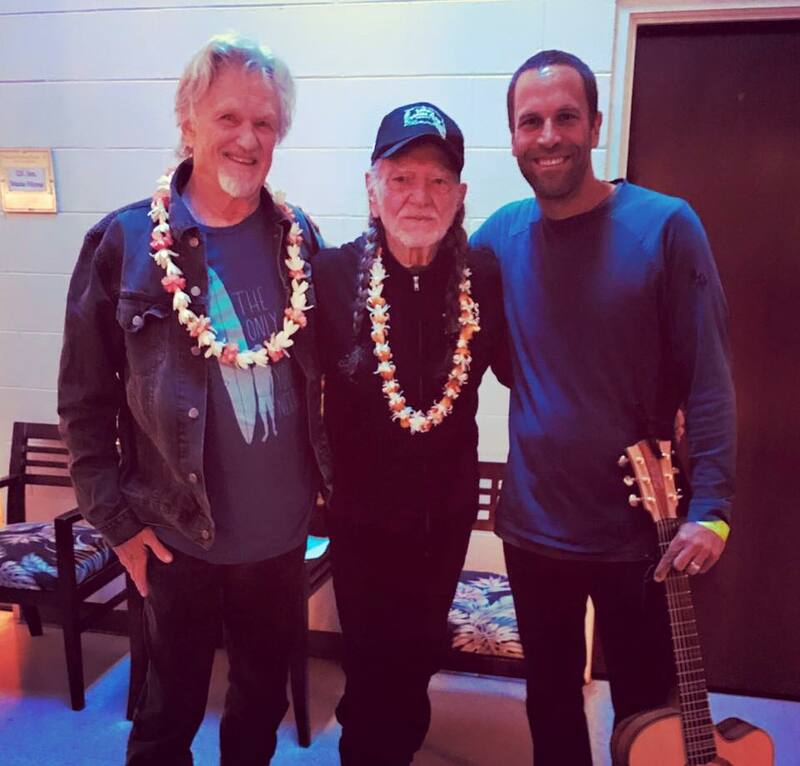 Performances included Willie Nelson, Jack Johnson, Kriistofferson, Mick Fleetwood, Steven Tyler , Landon McNamara, Lily Meola. The Highwaymen perform “I’ve Always Been Crazy” at Farm Aid VI in Ames, Iowa on April 24, 1993. Farm Aid was started by Willie Nelson, Neil Young and John Mellencamp in 1985 to keep family farmers on the land and has worked since then to make sure everyone has access to good food from family farmers. Dave Matthews joined Farm Aid’s board of directors in 2001.